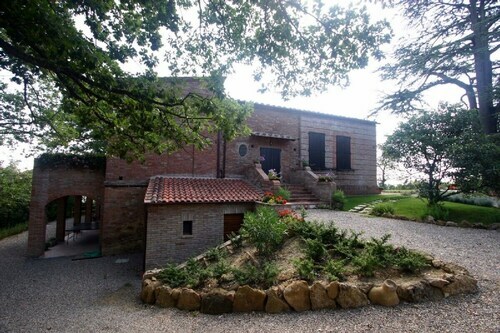 Situated in Montepulciano, this farm stay is 0.1 mi (0.1 km) from Val di Chiana. 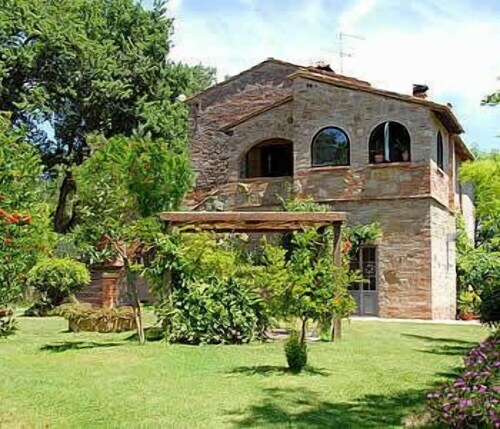 Situated in Montepulciano, this farm stay is within a 15-minute walk of Val di Chiana and Tenuta Valdipiatta. Church of St. Agnes and Colonna del Marzocco are also within 2 mi (3 km). This family-friendly Montepulciano property is located in a rural location, within 1 mi (2 km) of Val di Chiana and Tenuta Valdipiatta. Church of St. Agnes and Colonna del Marzocco are also within 3 mi (5 km). 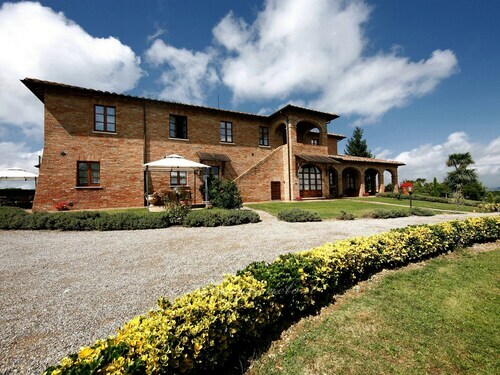 Situated in Montepulciano, this farm stay is within 1 mi (2 km) of Val di Chiana and Tenuta Valdipiatta. Colonna del Marzocco and Palazzo Avignonesi are also within 3 mi (5 km). IL Molinaccio 14+2 Sleeps, Villa With Private Pool at Exclusive Use! 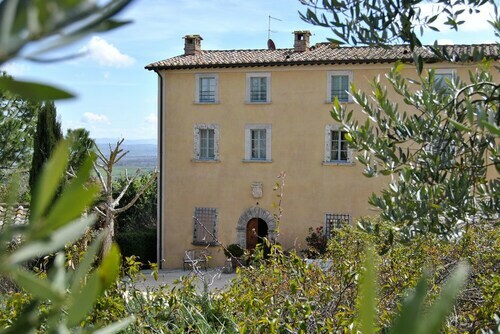 Located in the heart of Montepulciano, this historic farm stay is 0.1 mi (0.1 km) from Val di Chiana and 1.5 mi (2.4 km) from Tenuta Valdipiatta. Church of St. Agnes and Colonna del Marzocco are also within 6 mi (10 km). IL Casale DI Manuele 12 Sleeps, Villa With Private Pool at Exclusive Use! Situated on a river, this historic villa is within 1 mi (2 km) of Val di Chiana, Church of St. Agnes, and Tenuta Valdipiatta. Colonna del Marzocco and Palazzo Avignonesi are also within 2 mi (3 km). Situated in Montepulciano, this townhouse accommodation is within 1 mi (2 km) of Val di Chiana, Church of St. Agnes, and Colonna del Marzocco. Palazzo Avignonesi and Palazzo Cocconi are also within 1 mi (2 km). 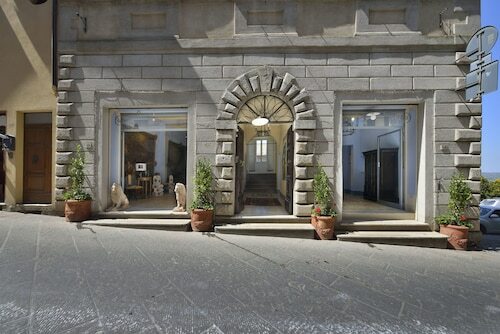 Situated in the historical district, this townhouse accommodation is 0.1 mi (0.1 km) from Val di Chiana and 1.7 mi (2.8 km) from Tenuta Valdipiatta. Church of St. Agnes and Colonna del Marzocco are also within 6 mi (10 km). Situated in Montepulciano, this property is within 2 mi (3 km) of Val di Chiana, Church of St. Agnes, and Colonna del Marzocco. Palazzo Avignonesi and Palazzo Cocconi are also within 2 mi (3 km). Situated in Montepulciano, this property is 0.1 mi (0.1 km) from Val di Chiana and within 3 mi (5 km) of Tenuta Valdipiatta and Church of St. Agnes. Colonna del Marzocco and Palazzo Avignonesi are also within 3 mi (5 km). This part of the world is buzzing with interesting ways to spend your days, such as a visit to Tenuta Valdipiatta. You'll be pleased that you made the journey to its home in Montepulciano, 90 miles (145 kilometers) outside of Rome, the nation's capital. The 9 accommodations that lie within 2 miles (3 kilometers) of Tenuta Valdipiatta are terrific for travelers who are a bit strapped for time. 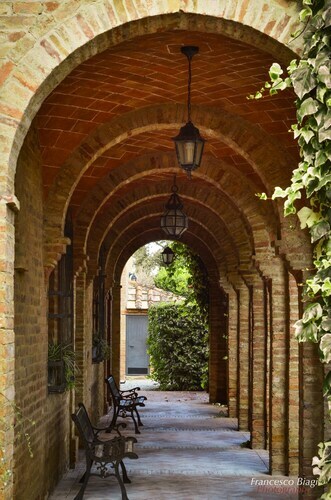 Many visitors appreciate the Villa Cicolina, Etruria Resort & Natural Spa and Fattoria San Martino, 0.7 miles (1.1 kilometer), 2 miles (3 kilometers) and 2 miles (3 kilometers) away, respectively. Your much-needed getaway doesn't have to cost you a small fortune. Take a look at the Villa Di Nottola, a wonderful bargain accommodation solution, only 1 mile (2 kilometers) away. Are you somebody that has sophisticated tastes? If so, you'll find a small collection of superior establishments conveniently situated just a short drive away. Check out the Alexander Hotel Palme and Hotel Rotelle. 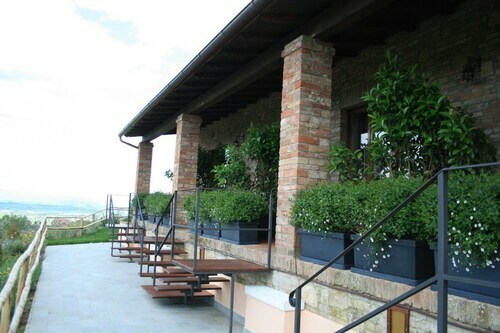 TENUTA VALDIPIATTA (Via Ciarliana, 25/A, Montepulciano) is ideally located for famished tourists after a fun-filled day. As an added bonus, it's only 0.1 miles (0.2 kilometers) away. Church of St. Agnes is a tranquil house of worship and an interesting local attraction that you might like to visit and admire. Feel history all around you as you enjoy a stroll around Palazzo Avignonesi, one of the area's most historic public squares. A towering local structure, Torre di Pulcinella is historically important for the region and is a splendid sight. As you explore the area, you might want to stop and admire Church of St. Augustine, a local house of prayer. If you wish to go inside, be sure to ask about visiting times before your trip. Experience some inspiration, as well as education, at Civic Museum, which obtains, protects and showcases artworks to help contribute to the culture of the community. How Much is a Hotel Room in Tenuta Valdipiatta? Hotels in Tenuta Valdipiatta start at $92 per night. Prices and availability subject to change. Additional terms may apply.